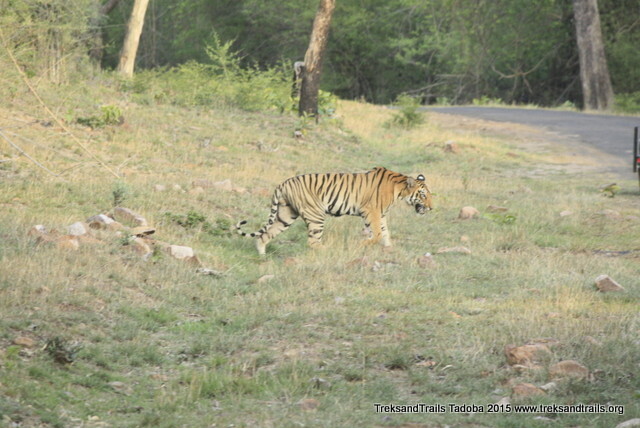 What was special on Tadoba Tiger Safari ? Arrival at Tadoba Tiger Resort ? Our Resorts and Stay How was it ? How to prepare for your First Tiger Safari ? Who should visit Tadoba Andhari Tiger Reserve ? 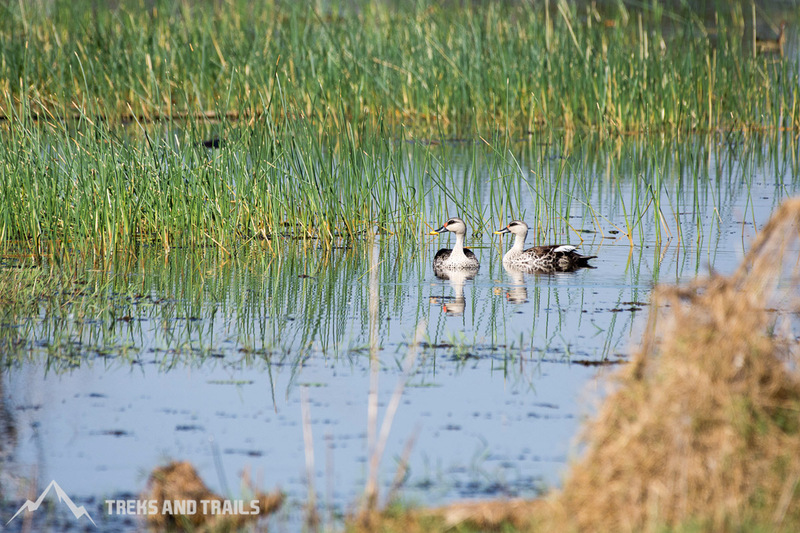 The state of Maharashtra is a biological hotspot rich and awesome. 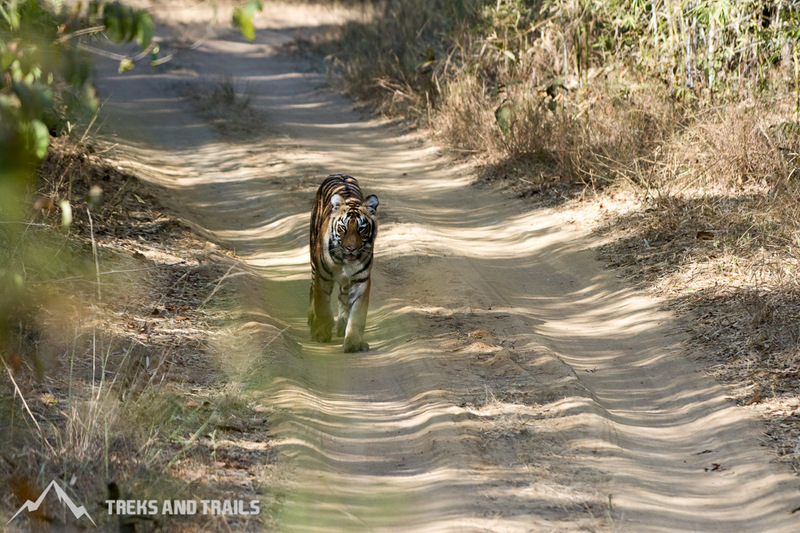 Visit to one of the state tiger reserves, there is something for everyone. 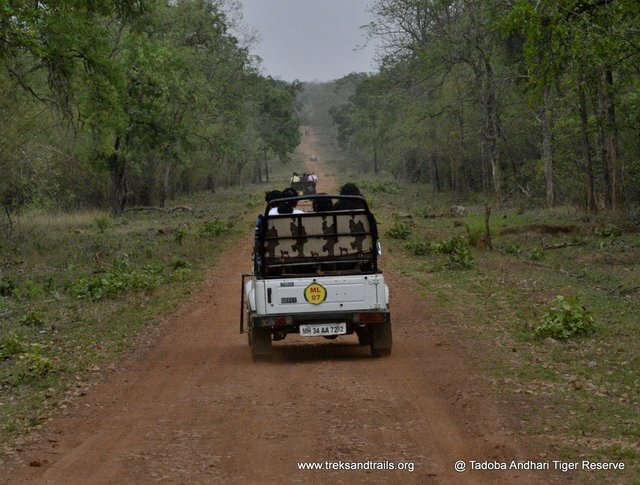 We set of to explore Tadoba Andhari Tiger reserve this June. Tadoba Andhari Tiger Reserve boost of the highest density of tiger population in India. Close to 65 tigers for 620 sq km. Our trip was a great delight with many other animals that we sighted like the Peacock, India roller, Bulbul, White eye Buzzard, Paradise flycatcher male and female, India Spita, Crow pheasant, India Bison, Spotted deers, four Antler deer’s, marsh land crocodiles, Sambar, wild boar, Monitor lizard, Woodpeckers, Indian Muntjac barking deer, Jungle hen, Serpent Eagle, Crow butterfly, Langurs, Seven sisters, Magpie Robin, Green beater are a few name that I could remember that were shared by the local guide on the open jeep safari that we had. 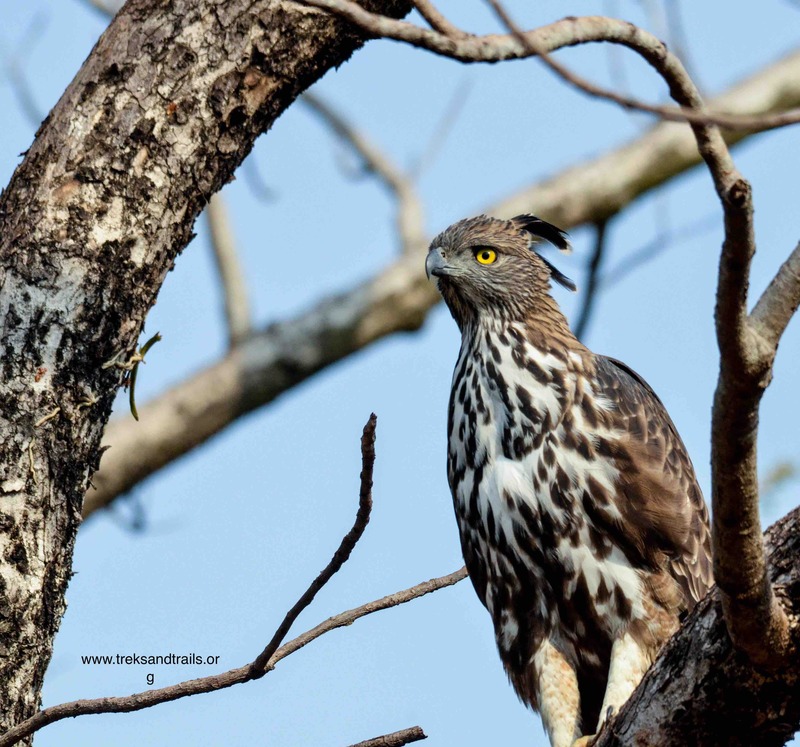 Tadoba Andhari is located along the hills of Chimur, Kolsa and Moharli. We travelled by the Duntoro Express from CST to Nagpur. 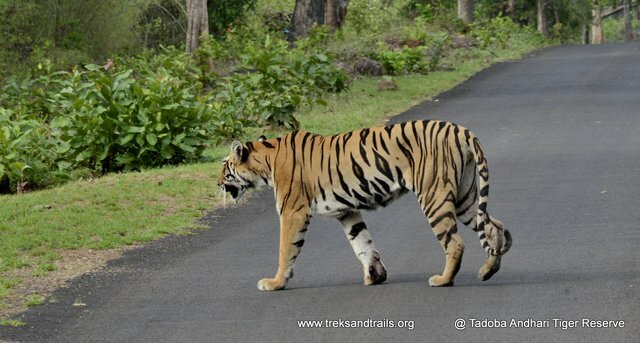 Tadoba was declared a tiger reserve in 1955 and later Andhari was joined in 1986. 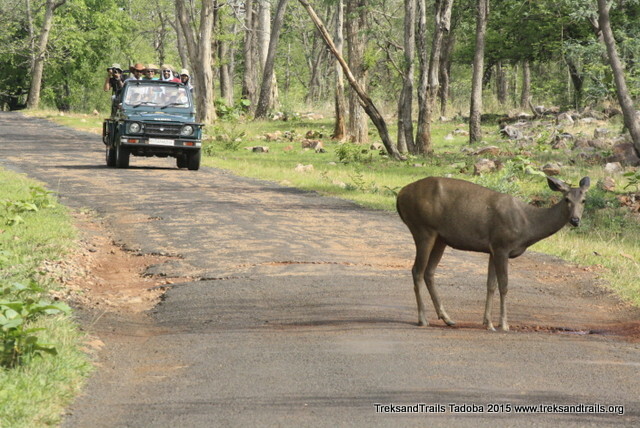 Treks and Trails had been to Tadoba earlier from Moharli gate. This time we choose a different path. We went to Kolara gate and had our reservation done. The participants were super enthu 72 years and above yes all 6 participants. The special requirement was honoured by Treks and Trails India AC travel and all lower berths. The drive from Nagpur station to the resort was unique. Our drive after a quick breakfast was where we witnesses at least 4 wedding procession along the way. Seems to be an auspicious day I must say. Soon the mood in our chariot CAB changed as we had old bollywood songs being played. Taking you back to yester years of 1980s. We checked in on schedule into our rooms. Buy the time we got fresh lunch was ready. The kitchen of this resort has a dining area. With huge table that could seat 8 - 10 people. At the lunch table it looked as if it was scene from Last Supper. As we arrived on Friday Jumma namaz had to be offered at a local masjid. So I got dressed up and got a lift till Chimur village 12 km – 15 Km. This ride cost me just Rs 30.00 however not many option to come back to the resort. Hence one of the local CAB driver agreed to drop me back for Rs 300.00 I agreed as the afternoon safari was about to begin. Two participant joined another group on the evening safari, Our other 6 participants had their own Jeep safari. This was a rusty ride exploring the buffer area and then the Core jungle. Without mobile network, just the evening sun setting in a distance. The best part about these ride are that jeeps keep crossing each other and would share tiger spotting and other info. Our Resort did justice to its 4.5 rating on Tripadvisor, good AC in all rooms, decent Genset backup, and nice food served. The only concern was all days they cooked that same menu for non-veg and pakodas cooked at the resort not a part of the itinerary are the most expensive. The room at this resort are named after the tigers of The Tadoba Andhari Tiger Reserve, Like Eddanna, Gabar, Tyson. For those visiting hear be prepared to lock your doors of the room well before sundown. Cover all the small spaces in the door as the light at night attract insects of all shapes and sizes, like the stinky bug, redneck, grasshoppers, cricket, moth. This phenomenon is very common at Tadoba being a jungle insects are attracted to white lights quickly. Friday night it rained all night. In the morning before you leave for the safari the resort offers you Tea, Coffee with Parle G biscuit. Also packed breakfast is given to you. I did not see any system of keeping a count check about the number of water bottles consumed by us. Everyone was alerted Tara's cubs were spotted and all the jeeps and canter made a beeline to witness these cubs crossover. This is when OOH and AAHS happen, a mere 20 seconds window of opportunity and 25 jeeps with telephoto lenses, DX, tele converters. The best in class 500mm, 600mm, 800mm Nikon, Canon, Sony Alpha dslr . I am quite sure that 3500 frames were captured. Those without pro cameras used mobile phone camera. The best was no one tried taking a selfie with the tigers. This was best highlight of the day. Other 3 safaris did not yield any sighting for our participants. However our driver Javed had other plans for our last safari. We drove till Kolsa Gate crossed over into Andhari region, as there was news that one of the tigers had made a kill Sambar early in the morning. We did not spot any tiger near the kill. But we drove back to the Telia lake were Sonam Tigress lay in the shallow water. Not interested in even facing our jeep. Soon the word spread and all the other jeeps started coming. We spent a good 20 minutes here. We did hear Gabar Tiger roar at a distance. As if telling us not to disturb his Sonam. Need to have good camera zoom lenses 150mm to 600mm ideal lens. 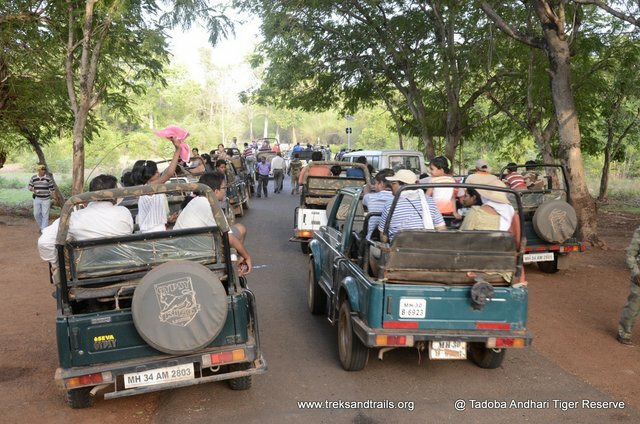 Best time to visit Tadoba March to May when is easiest to spot tigers. Tadoba Andhari Tiger Reserve is closed on Tuesday, National Holidays and during Tiger census. 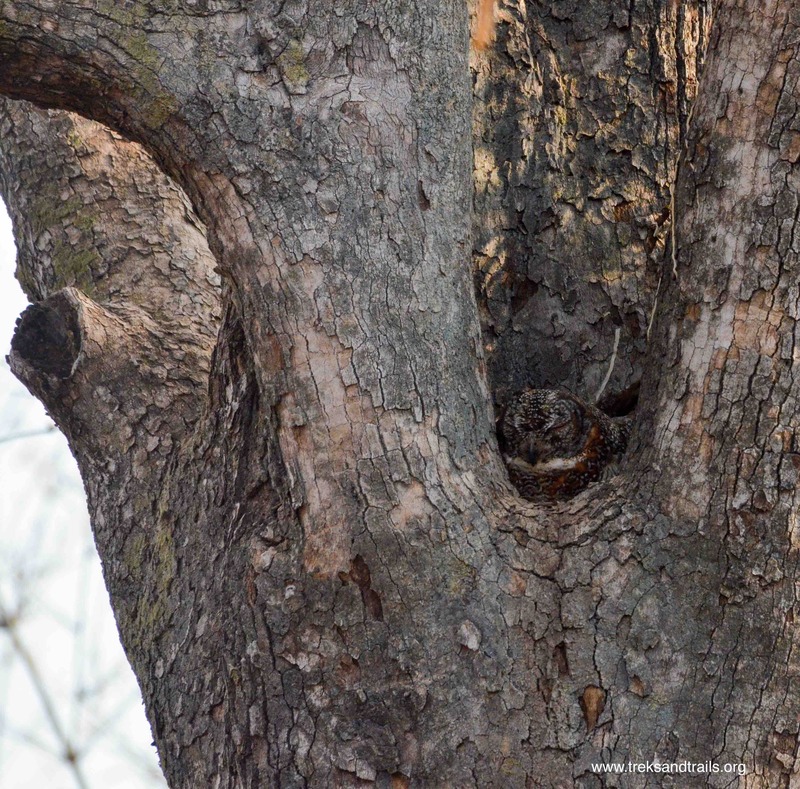 Tiger spotting is not guarantee so be prepared. The closest ATM is in Chimur village 12 - 15 km drive one way.